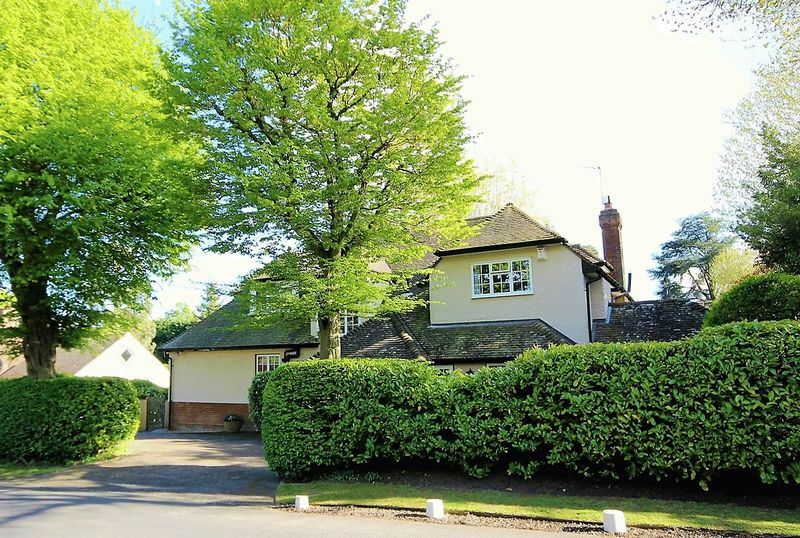 A delightful family home believed to have been originally constructed in the early 1920’s and located in an imposing corner plot position on one of the most desirable roads on Hutton Mount. The plot is approximately 0.38 acre (subject to land survey) and enjoys a wide road frontage of 131' (39.92 m) with scope, subject to all necessary consents for extension if required. 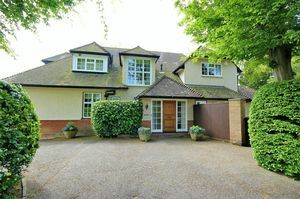 There’s a carriage driveway to the front which leads to a detached double garage and in turn to beautifully landscaped gardens to the rear and side. 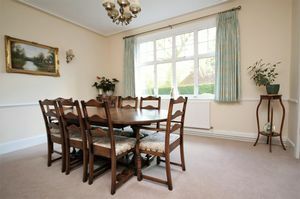 The accommodation comprises; spacious hallway leading to sitting room, dining room, family room, study and kitchen/breakfast which has a separate laundry room. 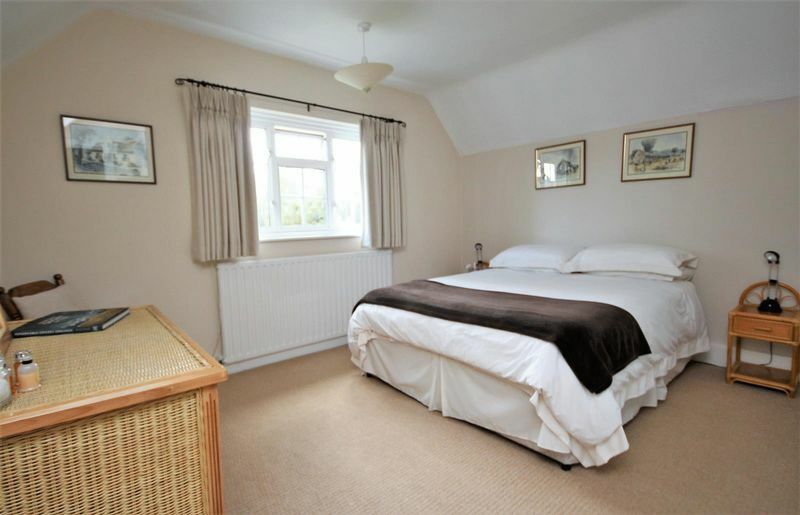 There is also an additional room, currently used as a fifth bedroom, which could be used as a children’s playroom/tv room. 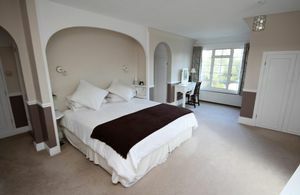 On the first floor the landing leads to the master bedroom which has fitted wardrobes and storage cupboards as well as a balcony with views over the rear garden. 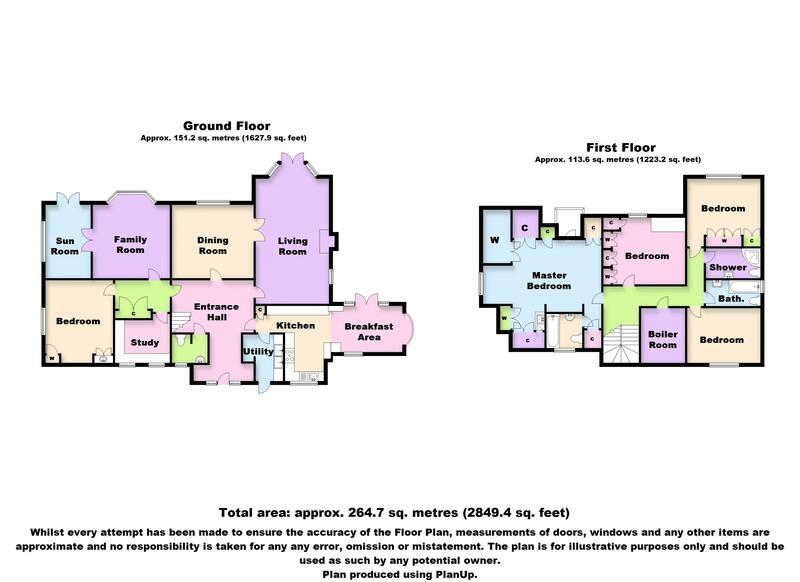 Additionally, there are three further bedrooms, en-suite to the master bedroom, shower room which could be easily converted to a second en-suite and family bathroom. 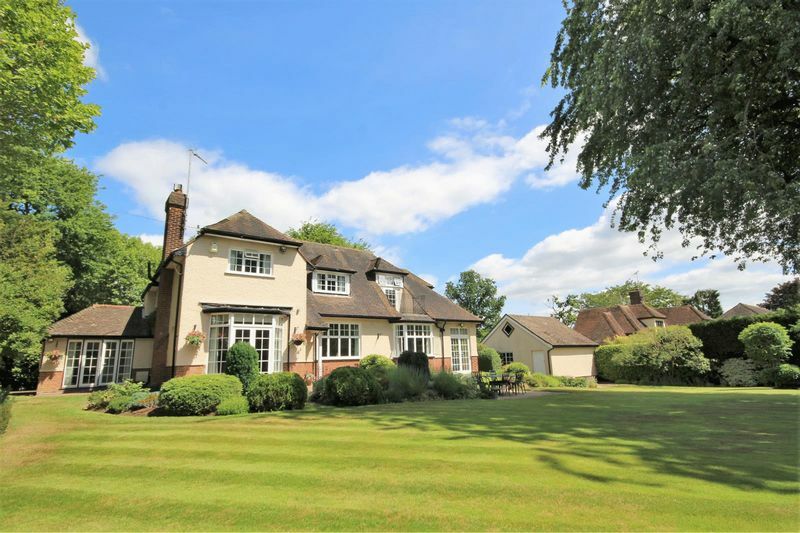 The property has high ceilings, charming character features and south facing gardens providing a rare opportunity to purchase a sought after property in this stunning location. EPC E.
Stone fire surround with fitted coal effect gas fire. 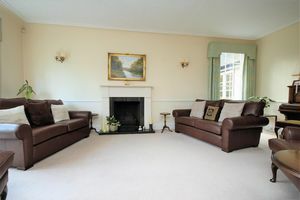 Dual aspect with bay to rear and window to side. 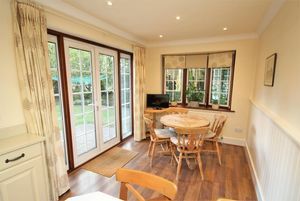 Window to rear and glazed double doors to sitting room. 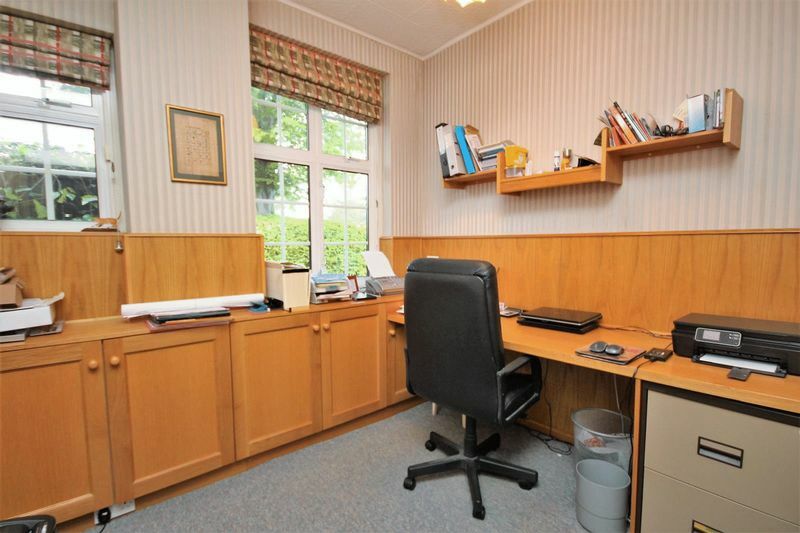 Fitted book shelves. 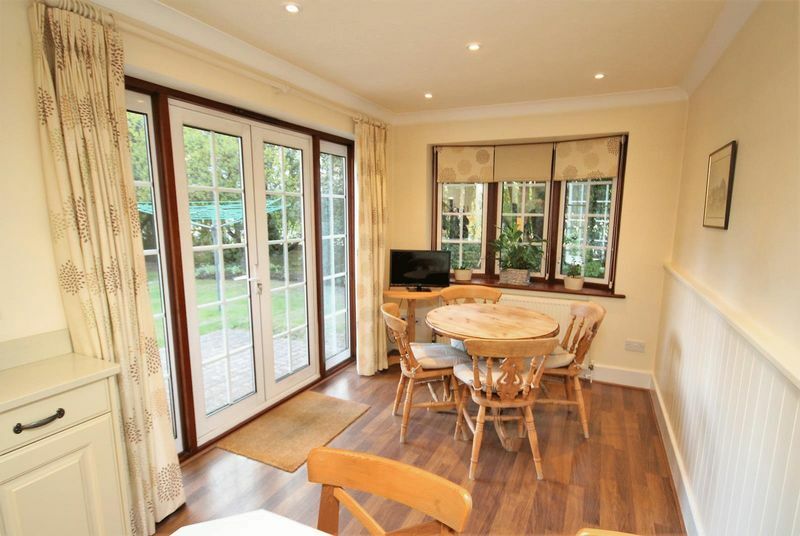 Window to side aspect and doors to garden with window above. 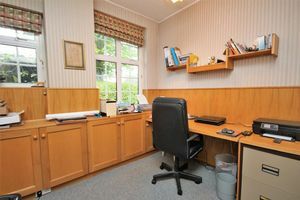 Wood panelling to walls, built in cupboards and window to front aspect. Built in cupboard housing wash hand basin with storage below, further fitted wardrobe and window to side aspect. 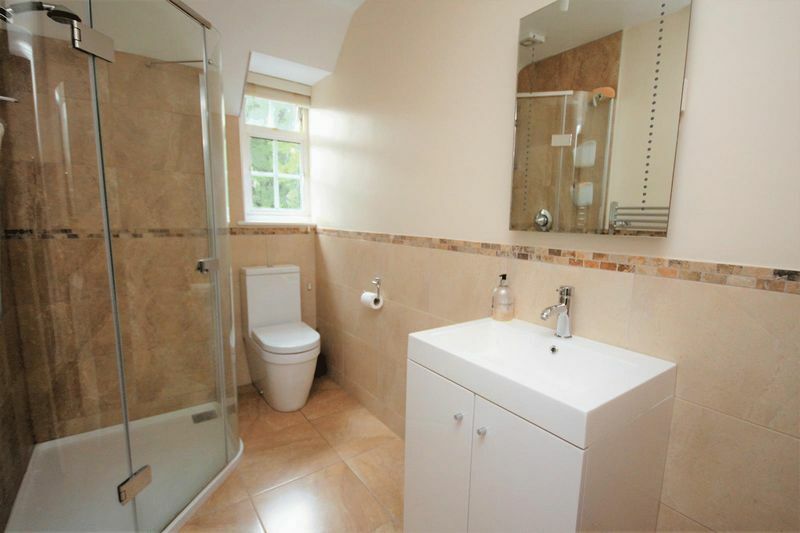 Close coupled WC, vanity wash hand basin, tiled floor, panelling to walls and window to front aspect. 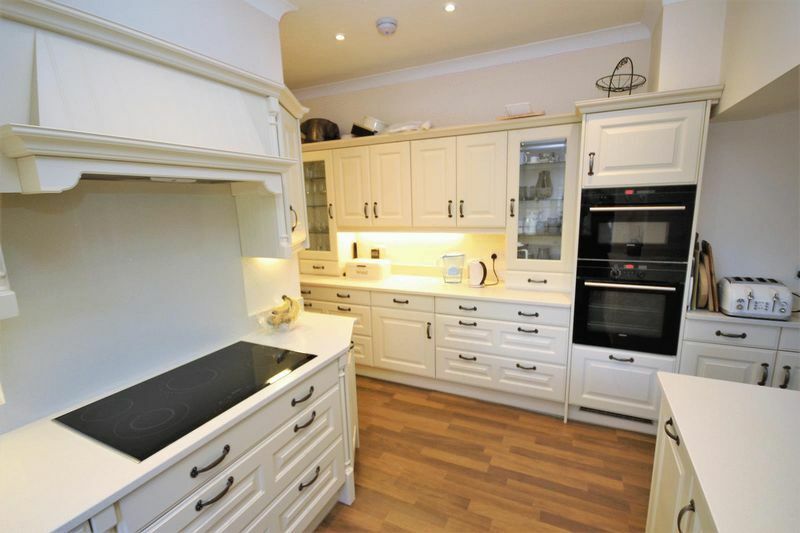 Cream coloured base and wall cabinets complimented by granite work surfaces and upstands. Appliances include; electric double oven, integrated dishwasher, fridge and Siemens induction hob with cooker hood above. 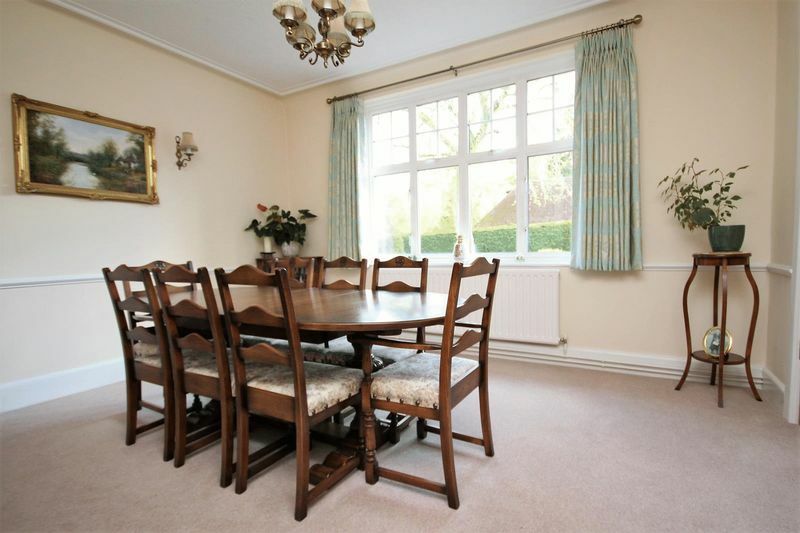 Wood effect laminate flooring, windows to front and side aspect, space for breakfast table and French doors to garden. 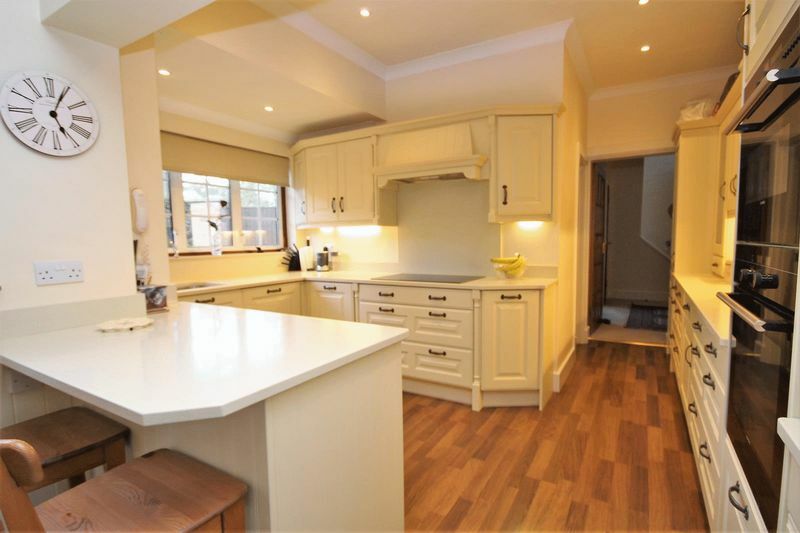 Space for appliances, double butler sink, wall mounted mixer tap, part tiled, glazed door to front aspect. 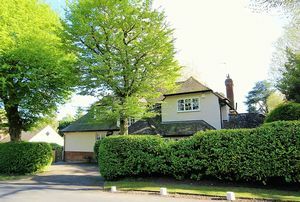 Boiler room with hot water storage tank, gas boiler, water softner and eaves storage. Access to bedrooms, bathroom and shower room. Three piece suite with shower over bath, part tiled walls, wood effect flooring, window to front aspect. Built in wardrobes, window to rear aspect. 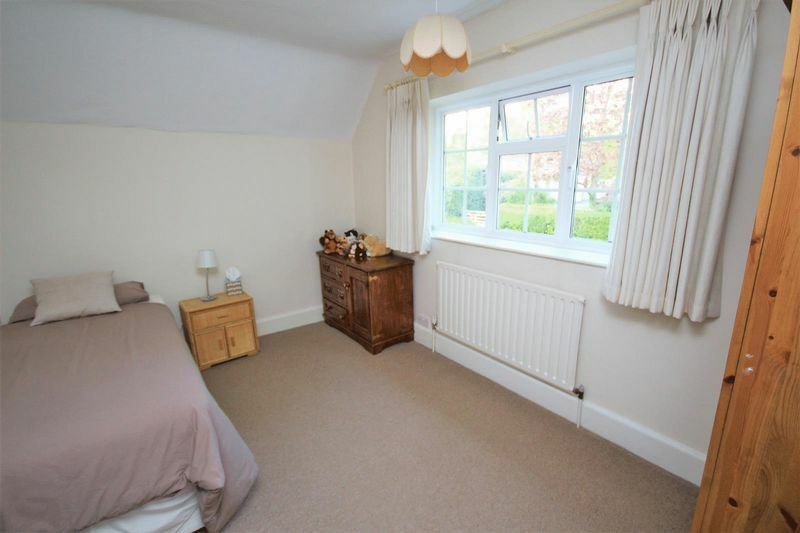 Agents note - the adjacent shower room can easily be incorporated into an en-suite to this bedroom by moving the door into the landing. 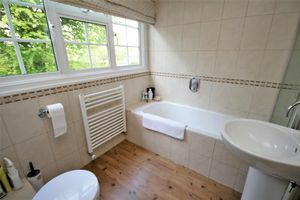 Large tiled shower cubicle, close coupled WC, vanity wash hand basin with storage, window to side. 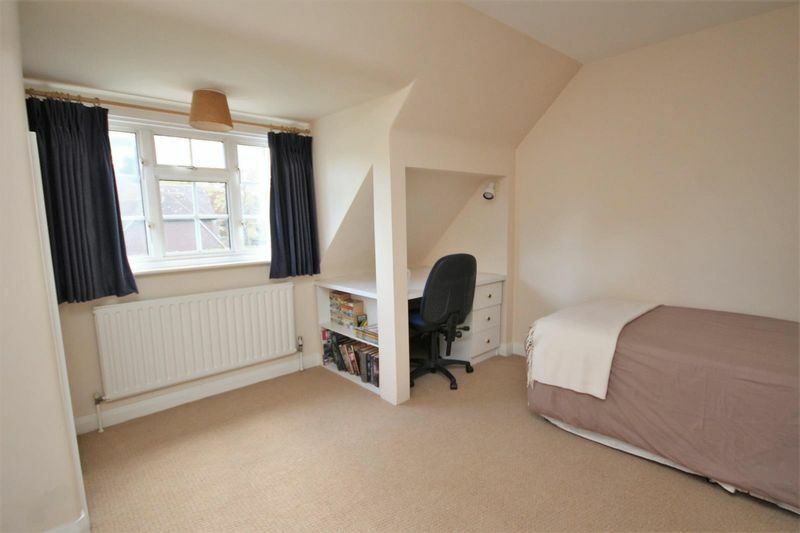 Built in wardrobes, window to rear. 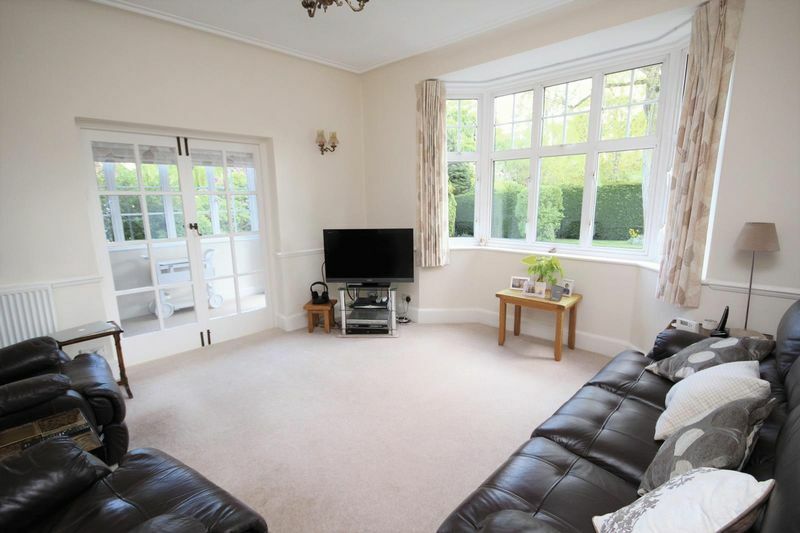 Partial sloping ceiling, window to front. Panelled bath, close coupled WC, pedestal wash hand basin, part tiled walls, tiled floor, window to side. 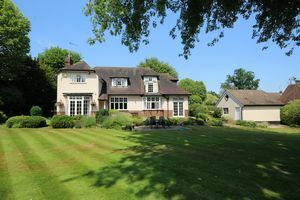 The property stands in a superb 0.38 acre (subject to land survey) corner plot with a wide road frontage of 131' (39.90 m). 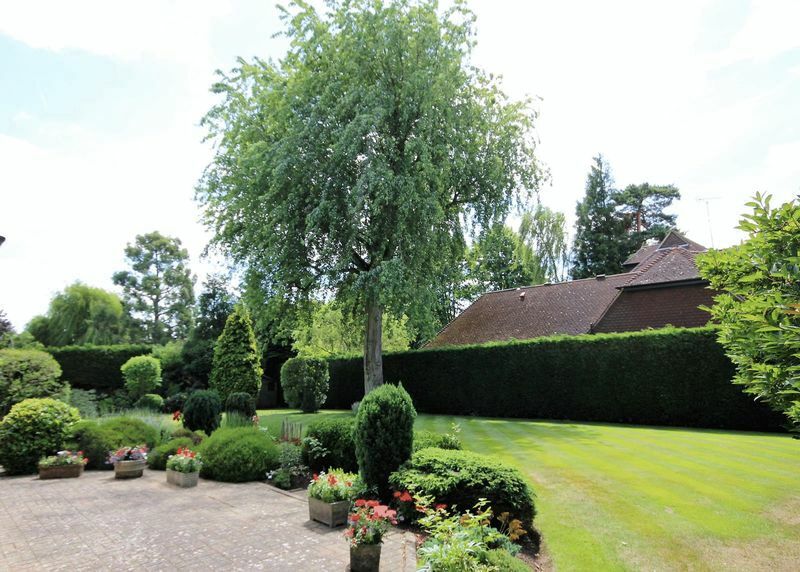 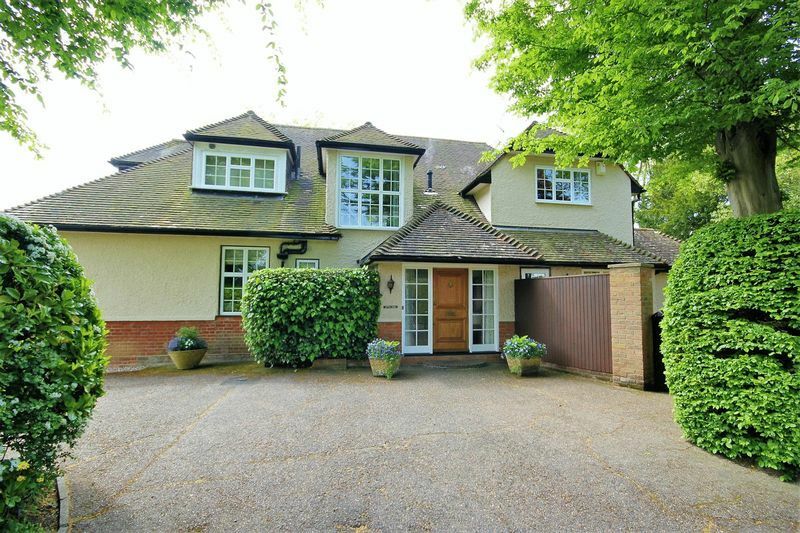 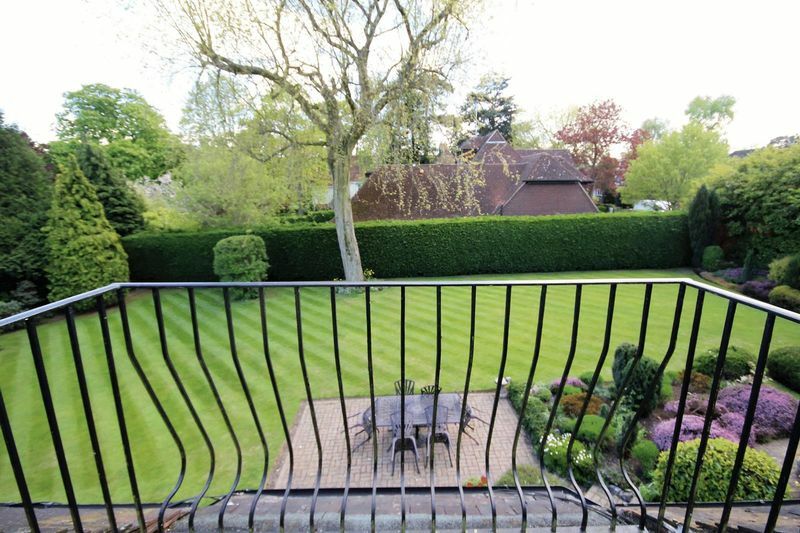 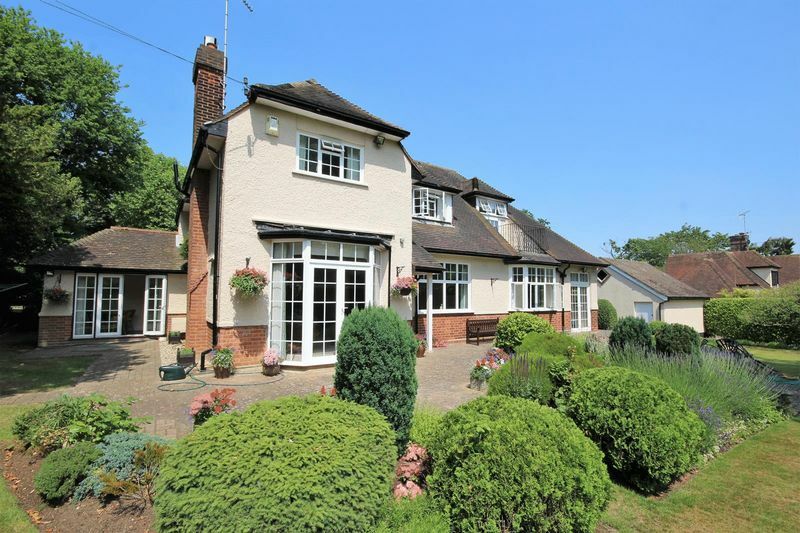 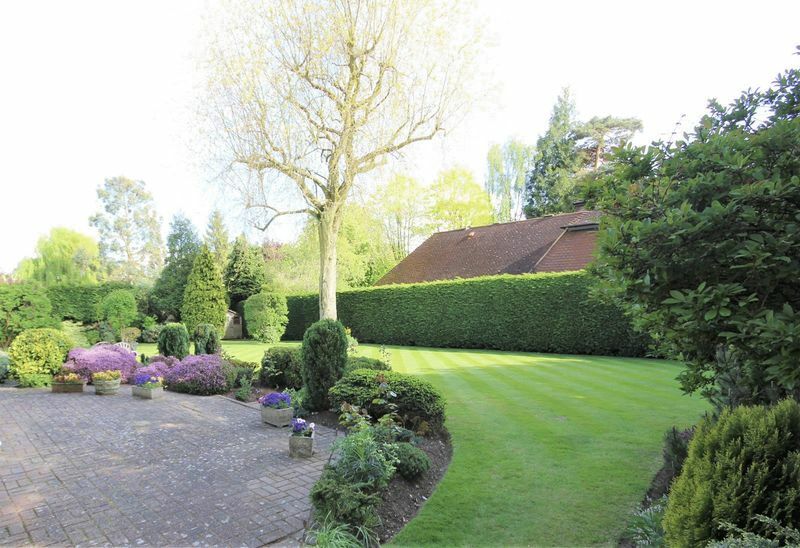 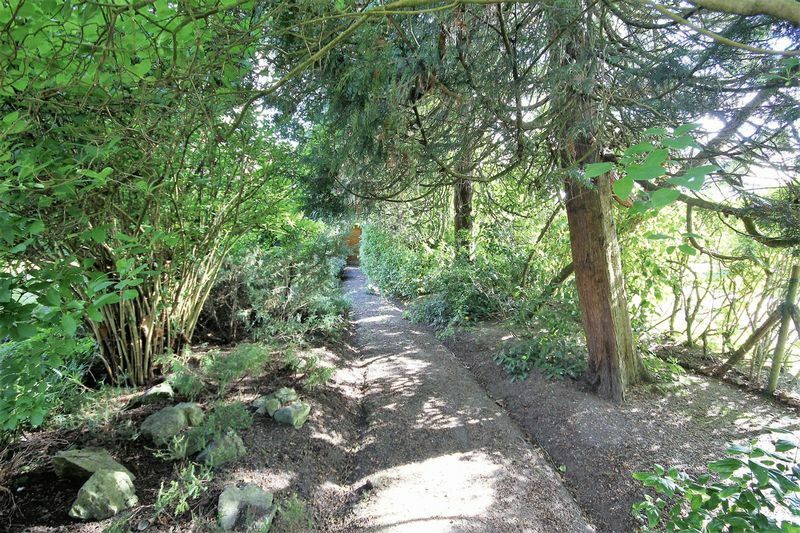 The gardens are beautifully landscaped and wrap around the property with an in/out carriage driveway secluded behind mature hedging which also leads to the detached double garage. 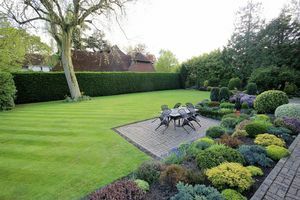 There is room to the side to extend the property (STPP and any necessary consents) and a large expanse of lawn to the rear with established borders, patio and garden shed. 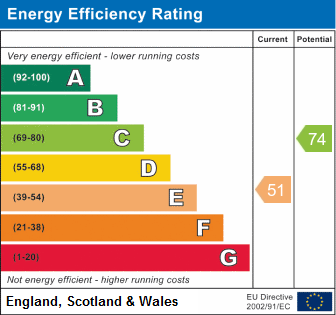 Electric up and over door, loft storage and pedestrian door to side.